Applications close at 5pm on September 4, 2018. Each “State of the Arts” license plate purchased in Sarasota County funds Opportunity grants. As the designated local arts agency, the Alliance is responsible for establishing the program, managing the application and evaluation process and ensuring funds are used to support arts and culture according to established guidelines. 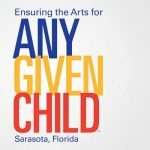 Non-profit organizations in Sarasota County that do not qualify for or did not receive a Tourist Development Cultural/Arts Grant may apply. Eligible projects must demonstrate artistic merit, community involvement and administrative competence. Support the arts by purchasing a Florida Arts License Plate! Find your local tag agency using this list of Florida Department of Highway Safety and Motor Vehicles Office Locations by county.